You've probably seen a picture of a toe-headed kid standing with his class in elementary school. 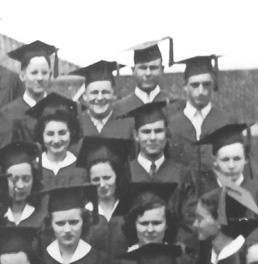 But here's a VERY rare picture of Jim in cap and gown at the time of his high school graduation. It's from Doris Gath's personal collection and will also appear in Larry Jordan's new biography on Jim.